Office Furniture GB supplies the following office accessories and furniture accessories. From monitor arms to glass dry wipe boards. Cable Spine Our low priced cable management spines offer a simple, effective way of tidying up cables around the desk. Cable spines allow you to run power and data from floor level to desk top tidily. These economy cable spines are baske..
Chroma Desktop Power Module Chroma power modules offers power when you need it via its selection of smart charge and power socket ports. Chroma supplied with data and media connections allows the end user to connect various devices quick..
Budget Dual Monitor Flat Screen Arm This budget double monitor arm from ABL is suitable for 2 screens, providing greater flexibility for the end-user as well as offering ergonomic and space-saving benefits. Strela is a flat screen monito.. Single Flat Screen Monitor Arm Strela is the new budget monitor arm from ABL, providing important ergonomic and space-saving benefits. 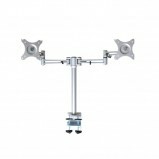 With a functional, simple design that is quick to assemble, this flat screen monitor arm offers heigh.. 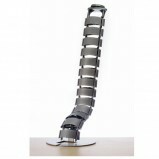 Mobile CPU Holder This low cost mobile CPU Holder is a new flexible range introduced in response to customer feedback. A very simple, effective solution to many CPU Holder needs. 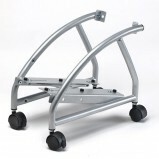 Our economy CPU stand is in a fold out format on castors t.. Port Hole Desktop Power Module Charge your device the smart way with the Port-El range from ABL. In-desk Grommet power module designed to fit into a standard 80mm port hole in the desk. Power, design, and connectivity right where you ne..
Tool Rail Mounted Monitor Arm These low priced tool rail mounted monitor arm is ideal for screens dividing modern bench desks. 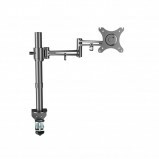 A cheap rail mounted monitor arm that delivers on quality, being both adjustable in height and articulated for.. 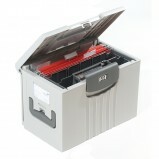 Under Desk Power Module The PMK from ABL provides a neat and compact solution to your underdesk power requirements. 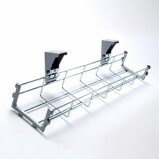 PMK is supplied with central fixings to enable the module to be screwed to the underside of the desk or the modesty panel..
Wire Cable Basket Our range of low priced cable management baskets offer a simple, effective way of tidying up cables around the desk. The wire cable tray is available in lengths ranging from 800mm to 1600mm. This economy under desk cabl..
WriteOn® coloured glass information boards Display your messages or menus in style. A range of attractive glass dry-wipe boards which also accept super strength magnets. The glass board stands proud of the wall on special chrome fix.. 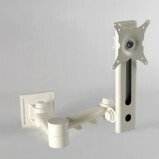 Height Adjustable Cable Spine ABL’s new cable spines have been developed to work with sit/stand desks. Its flexible design keeps all your cables and wires organised and free from damage and knots. Our sit/stand cable spine is available .. Flexible working and Hot Desking Solution The hotbox™ is a unique portable personal storage system designed to make your workspace more productive. More people are now working on the move, from home or from flexible offices. The hotbo..